The Six Main Stories, As Identified by an AI, in The Atlantic. More about this research at UVermont's Computational Story Lab. I participated in the Royal BC Museum's storytelling series Have We Got a Story to Tell on 30 November 2016. The theme was "Big Beasts" featuring "true and daring tales of folks adventuring among the biggest of creatures ", including tales by my wonderful colleagues, Megan Adams and Caroline Fox, also I told a story from my PhD research about elephants in Uganda. Thanks to Aaron Ball for technical wizardry to improve the audio recording. 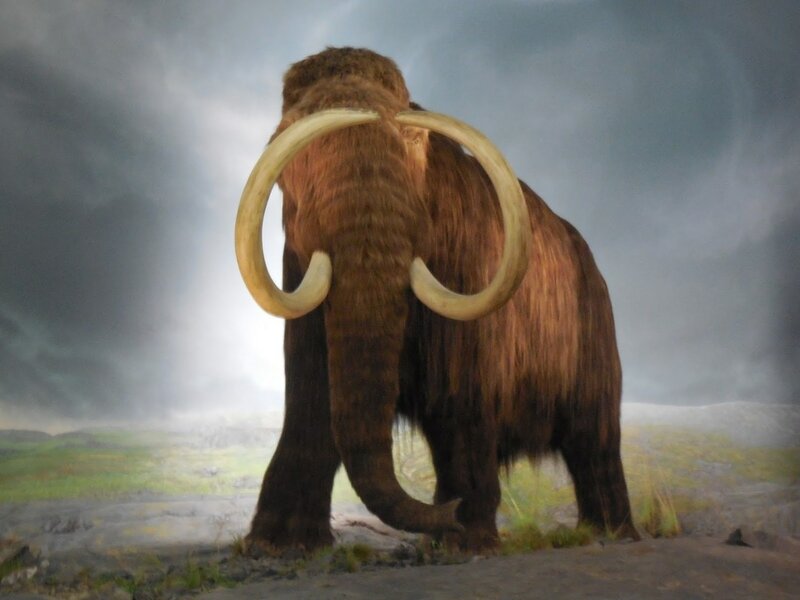 Don't miss exhibits at the Royal BC Museum, including this amazing wooly mammoth. I took part in a storytelling workshop and live event during IMCC 2016 in St. John's, Newfoundland. My story was about how a kayak trip led to postdoctoral research in BC's Great Bear Sea studying shellfish aquaculture. Want to know more? Read this Q&A with three of my fellow storytellers and Storify of tweets from the live event. One of my favourite storytelling projects, The Story Collider, held a show at the 2015 IALE World Congress. ​I was among six scientists invited to join Springer Storytellers and tell a personal story inspired by conservation and ecology research. I spoke about a fateful day on one of my first field jobs, called "Lessons from the man with the machine gun". ​Later, my story was re-broadcast on CBC Radio's Quirks & Quarks and mentioned in The Guardian. I can't say enough good things about working with The Story Collider! Learn more about the Serengeti Cheetah Project. ​Follow them on Facebook and Twitter.